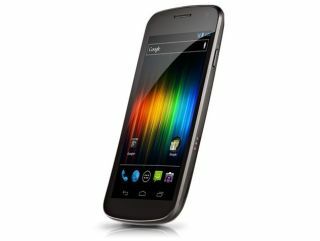 The current flagship Android 4.0 device, the Samsung Galaxy Nexus, will finally arrive on the Sprint network on April 15, according to reports. After months in the offing, the S4GRU news site says it has received confirmation from a source within the network. The launch will come three months after the 4.65-inch, 720p HD device made an exclusive debut on Verizon and probably around the same time as the long-awaited Samsung Galaxy S3. With Sprint yet to roll-out it's 4G LTE infrastructure, new Galaxy Nexus owners will be unable to access next-generation speeds offered by the device (and indeed Verizon). When Sprint does get around to going LTE, users will be able to toggle to 4G within the Android settings. At present, the 1.2GHz dual-core, NFC-enabled smartphone, probably remains the front-runner in terms of Android 4.0 devices currently on sale. However, it is likely to be usurped by the forthcoming Samsung Galaxy S3, which is due to arrive any time now, as well as the quad-core HTC One line. Is it a case of better late than never for Sprint or too little too late?